But our international approach doesn’t end in this hemisphere. On the other side of the globe, our Tianjin, China, partnership invites more than 1,000 of our students every year to experience a new culture as they gain a deeper understanding of hospitality and tourism management. 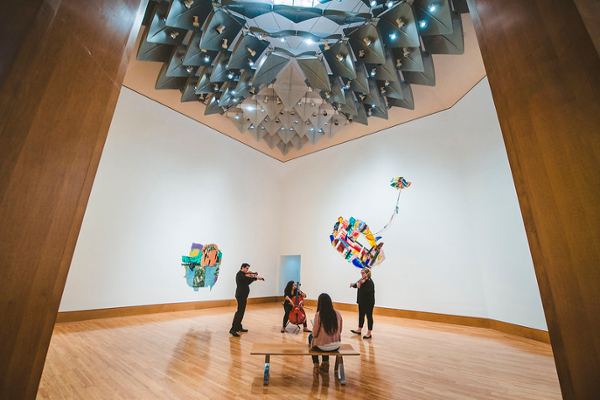 Meanwhile, our renowned museums and cultural institutions feature arts, music and entertainment that reflect the diversity of our region – and beyond. 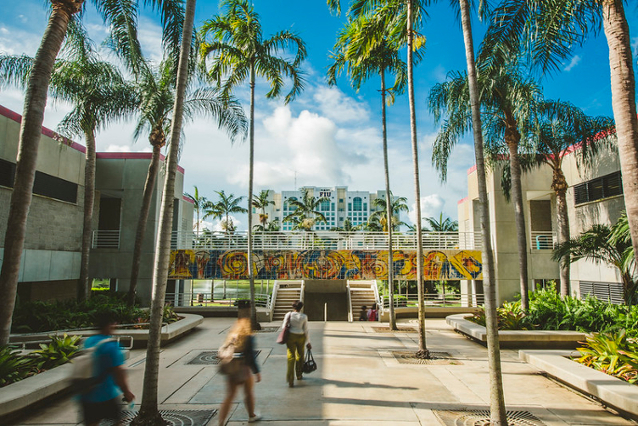 Ready to see how FIU opens a world of new opportunities? Learn more about our locations and centers. 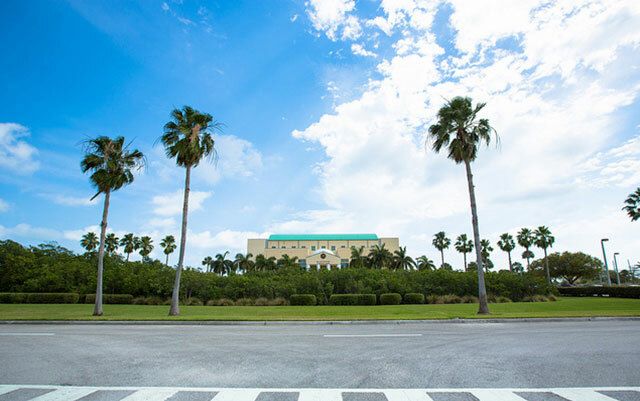 FIU’s main campus spans 342 acres. It’s home to many of FIU’s most recognized school and colleges, as well as the FIU Arena and FIU Stadium. It features a variety of restaurants and residence options and a spacious, fully equipped recreation center in a lush, suburban setting. This waterfront, 200-acre campus sits right on Biscayne Bay, offering unique adventure recreation and one-of-a-kind access to Florida’s aquatic ecosystem. It’s home to our schools of journalism and communications, hospitality, our renowned creative writing program and more. 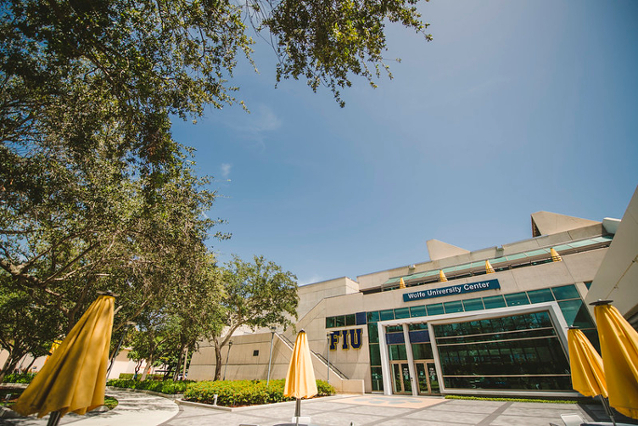 FIU at I-75 offers graduate and undergraduate programs to students in Miami-Dade, Broward and Palm Beach counties. This joint-use, LEED-certified facility also houses Broward College’s Miramar West Center, enabling an easy FIU transition for Broward College students. 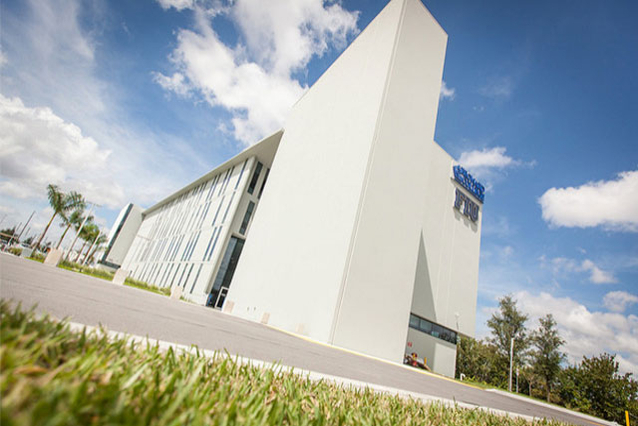 A two-mile shuttle ride from FIU’s Modesto A. Maidique Campus is FIU's Engineering Center, FIU's 40-acre facility dedicated to innovation in the field of engineering. Home of the nationally recognized Wall of Wind, EC is a world-class research facility. 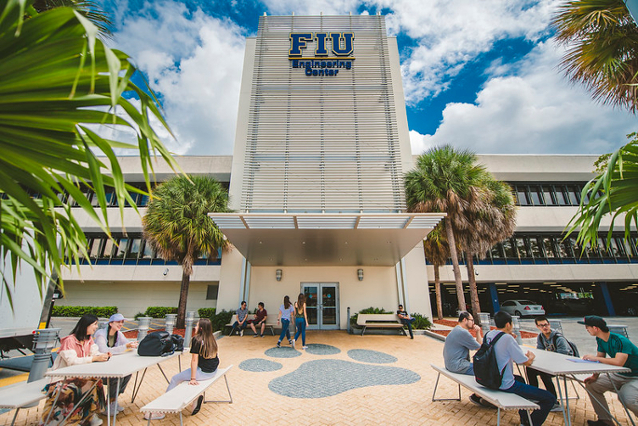 FIU Downtown on Brickell, located in downtown Miami, offers graduate-level business courses for busy professionals. This center houses our top-ranked MBA programs for the Chapman School of Business. 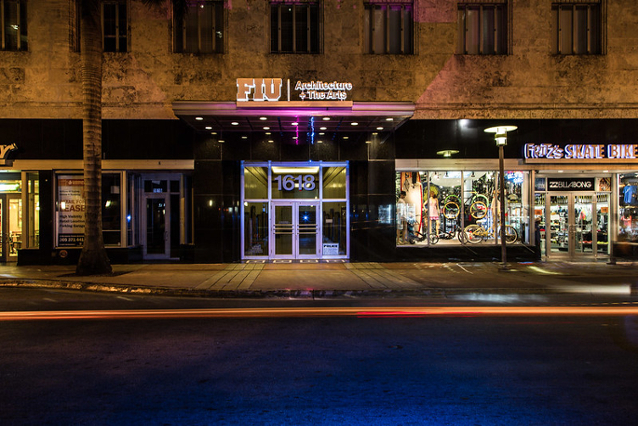 The Miami Beach Urban Studios is a state of- the-art creative space for students and the community in the heart of one of the most vibrant artistic urban centers in the world. Students taking part in our Tianjin program develop an international edge in hospitality and tourism management. 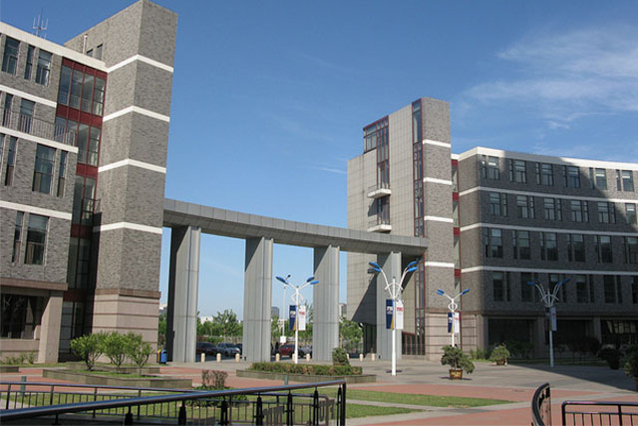 The Tianjin University of Commerce campus features 450,000-square-feet of air-conditioned space and includes a 20-story dormitory tower. 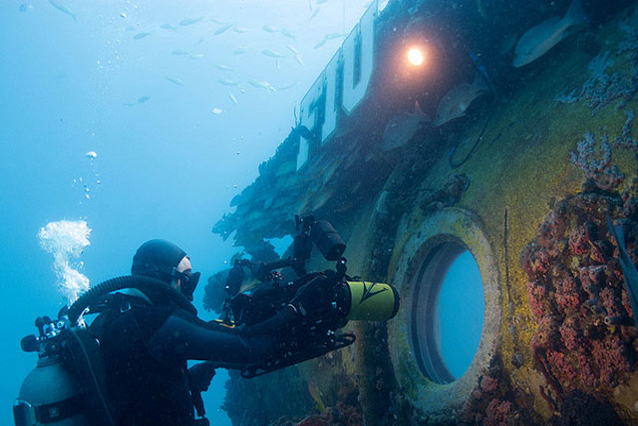 The Aquarius Reef Base, deployed 60 feet beneath the surface in the Florida Keys National Marine Sanctuary, provides unparalleled means to study the ocean, test and develop state-of-the-art undersea technology, train specialized divers and astronauts, and engage the world's imagination. 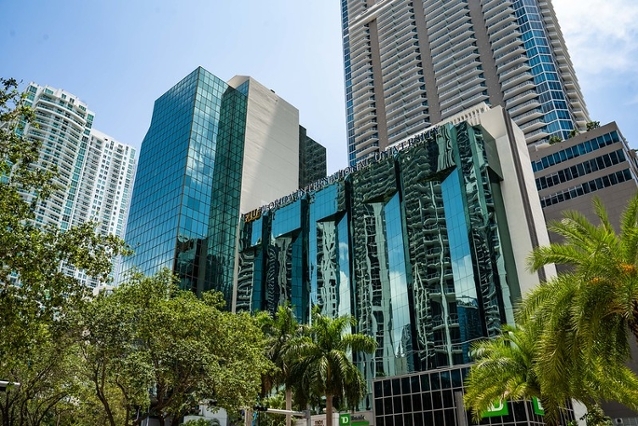 With breath-taking, panoramic views of Biscayne Bay, the Kovens Center at BBC is a premier venue for just about any event, from business events to weddings. It offers 37,000 square feet of meeting space and can be customized to suit any need. 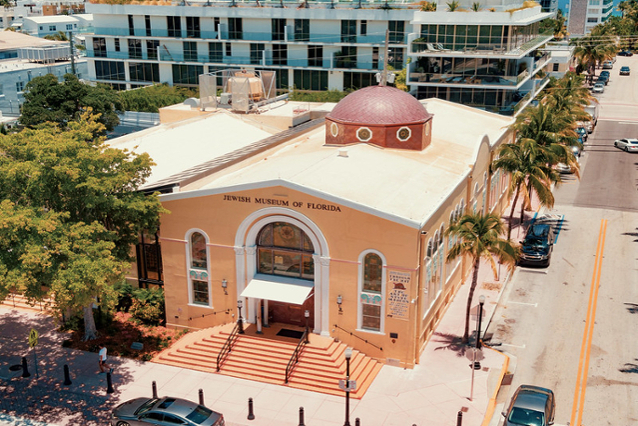 The Jewish Museum of Florida-FIU explores the Jewish experience in Florida; how Florida Jews have influenced the state, the nation, and the world; and the issues of discrimination against all peoples in Florida history. Designed by world-renowned architect Yann Weymouth, the Patricia & Phillip Frost Art Museum at Modesto A. Maidique Campus counts nearly 6,000 objects of art in its permanent collection and hosts a variety of exhibitions. 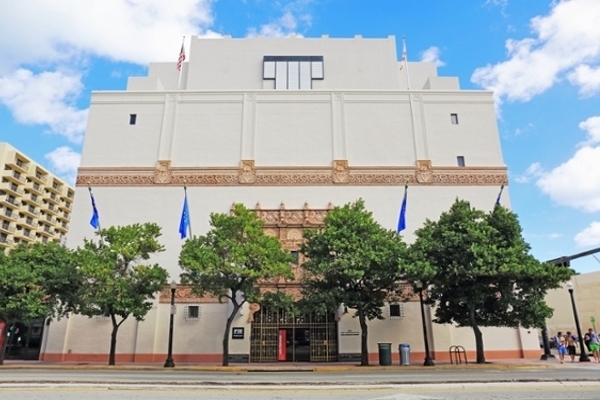 The Wolfsonian–FIU, located on Washington Avenue in Miami Beach, is a museum, library and research facility. The museum serves as a resource for students to observe, study and research our impressive collection of art and historical pieces. 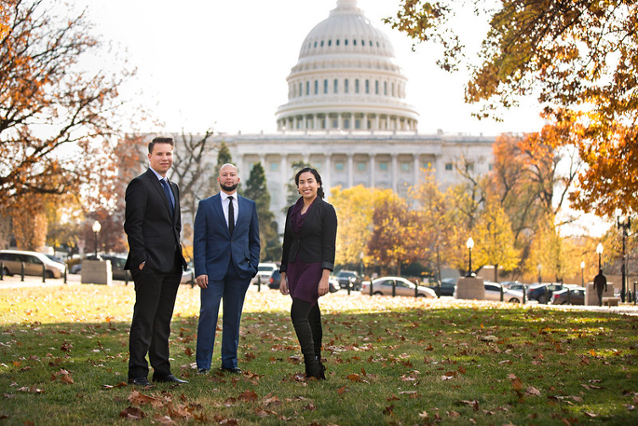 FIU is based in Washington D.C. to amplify the FIU voice in the national dialogue, as well as provide a one-of-a-kind learning experience to all who visit. FIU in DC hosts hundreds of FIU students each semester for academic, professional or experiential opportunities.